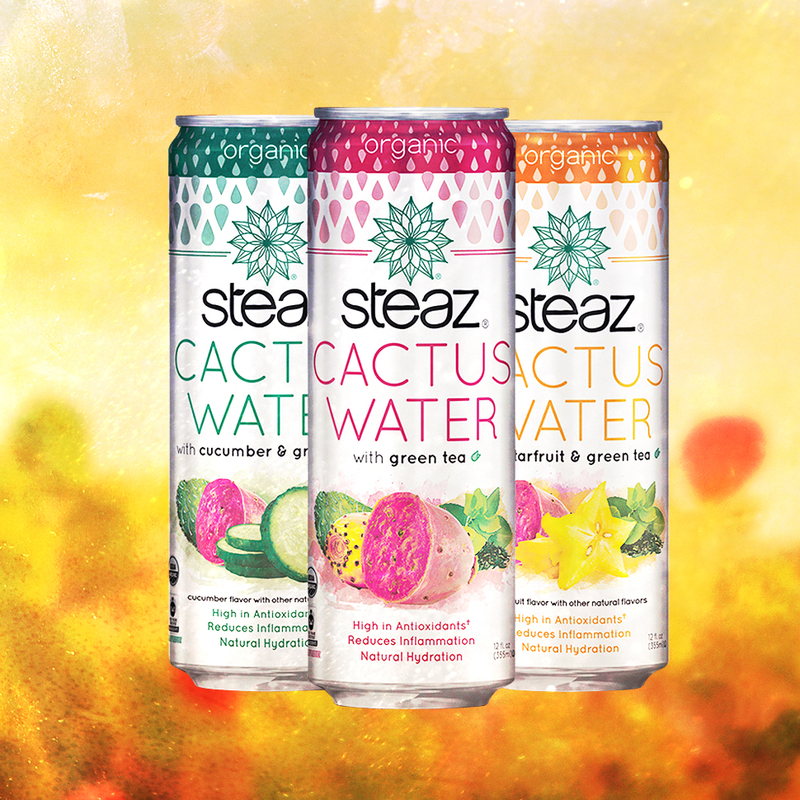 Steaz Cactus Water is a new line of organic mid-calorie non-carbonated beverages that feature prickly pear juice and green tea. It is, much like the rest of the Steaz line, USDA organic and fair-trade certified and it comes packed in a 12 oz slim can. 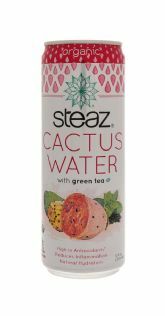 On the surface, venturing into cactus water seems like something that might make sense for a brand like Steaz. 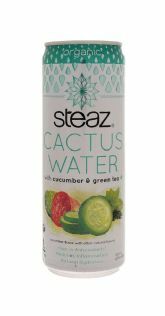 The company has done a good job of establishing itself as a purveyor of organic tea-based beverages and there’s certainly a trend out there with plant-based beverages such as cactus water. However, what Steaz has created is pretty complex in terms of its messaging and branding. We suspect that the pairing of green tea, cactus water, and, in two of the SKUs, fruit flavors, may makes for something that’s hard for consumers to figure out -- at least in terms of what you are going to get inside the can. 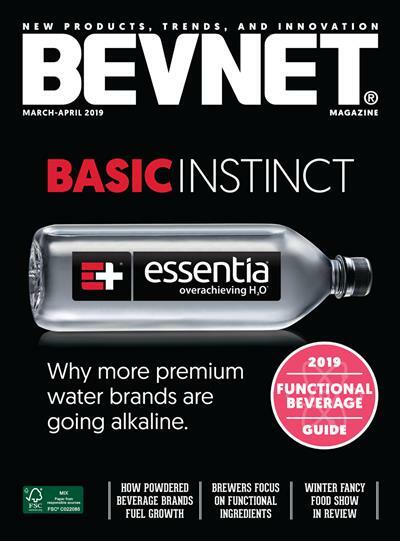 This is in stark contrast with something like straight cactus water or other plant-based beverages like maple water, where the flavor is very much that of the key ingredient. Further complicating the matter are the product’s functional claims -- including antioxidant content, inflammation reduction, and hydration. While these are certainly nice to have, placing them on the front of the can doesn’t seem like the right move at this point as it adds clutter both visually and to the messaging. Inside the can, Steaz has done a nice job formulating these products. 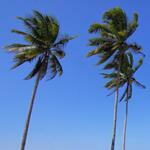 Each one clocks in at 50 calories and 9g of sugars per can thanks to a blend of sugar and stevia. 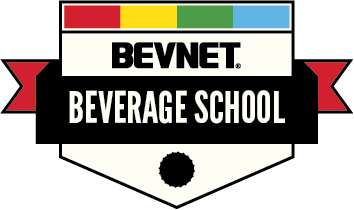 As far as stevia-sweetened products go, you really can’t taste it, which is definitely a good thing. Of the three flavors, we were definitely most partial to the Cucumber & Green Tea variety, although the green tea and prickly pear flavors didn’t contribute much. The flagship Green Tea flavor is the most straightforward of the three and the two flavors seem balanced and finished clean. The final flavor, Starfruit & Green Tea, seems like it needs the most refinement. 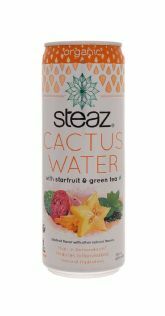 We say that because of how the starfruit flavor hits your palate, resulting in something that masks the underlying tea and prickly pear flavors. After sampling all three of the flavors, we’re left feeling as though this is a one- or two-SKU offering. And, more importantly, we feel as though Steaz needs to somehow further simplify the pitch. In its current form, it seems as though fitting in with Steaz core tea brand capital is getting in the way of making something that the consumer can quickly understand when panning a cooler. That’s not to say that we don’t appreciate the company's efforts at innovation, but rather that we think that a “less is more” approach will help this product both in terms of flavor and packaging.